Born and raised in the working class town of, Ypsilanti, in southeast Michigan, Samantha Gray is a singer, songwriter and visual artist who began her creative journey at a very early age. Although she was raised in the mid-west, Samantha’s father and maternal grandparents were from Tennessee. She really embraced her southern roots and has often said that she had the best of both worlds. Samantha was exposed to many different types of music, especially country music and the sounds of Motown. Although she loved music, Samantha had aspirations to become a visual artist at a very early age. Not long after graduating high school, Samantha had an opportunity to move to Tennessee. Still following her dream of becoming a visual artist, she received an art scholarship to the University of Tennessee Knoxville, where she would spend the next 3 years. Seemed like things were starting to fall into place, but as an art student, Samantha became frustrated with academia and felt that it stifled her creativity. She soon discovered that the one outlet she had was singing. It wasn’t long before a friend took her to see the Roots Rock/Alt Country Band, The Bystanders. After the show she was introduced to the band and one week later they invited her to sing on stage with them. From that moment on, Samantha was hooked and knew that she wanted to perform. Samantha obtained her Bachelor of Fine Arts and it wasn’t long before she headed to Nashville to pursue music. Soon after arriving she had her first studio experience singing backup for Alt Country Band, The Old Flames. She tried to start many bands herself, but all of her attempts proved unsuccessful. 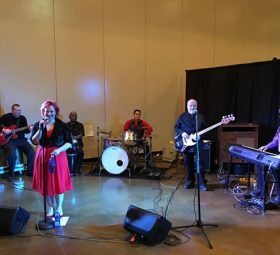 One day a chance meeting with the front man and founder of Swing/Jump Blues band, Jive Deluxe, gave her an opportunity to audition for a spot as a backup singer. 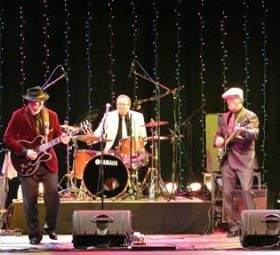 She got the gig, but the group soon disbanded and in 2008 she co-founded and fronted, The Detroit Specials. The band was short lived, but it was during this time that she was able to cultivate her skills as a songwriter. After her stint with Detroit Specials; Samantha realized that she needed to go solo. Samantha’s unique voice has been described as soulful, sultry and powerful. Also known for her vintage style and hip shaking performances, she really knows how to engage her audience. Melding the influences of Classic R&B, Blues and Rock’n’Roll, she combines all of these influences into her own brand of Blues and Roots music, which can be heard on her 2010 self-released debut album “Bad Girl Now.” Samantha relocated to northeast Tennessee in late 2011, an area which is very rich in roots music. You can find her performing in the Tri-Cities area of northeast Tennessee and southwest Virginia and throughout the region.